GFWVPN Review – Is The Service Worth A Look? GFWVPN is a privacy solution provider based in China. Established in 2011, the company delivers a safe and secure browsing environment to its customers. In this thorough GFWVPN Review, we will list down the features provided by the service and decide if it is worth subscribing. GFWVPN has VPN servers in United States of America. Since the choice of server locations is limited, the service is not meant for those who wish to unlock premium local content from several different countries. However, the service would definitely come handy if you want to unlock US based premium content sites and services like Netflix, Amazon Prime, Pandora, ABC Player, CBS, Hulu, HBO Go, Fox TV, NBC, NFL, MTV, MLB, CWTV, Dramafever, Xfinity and Vudu while travelling abroad or if you are settled in a different country altogether. 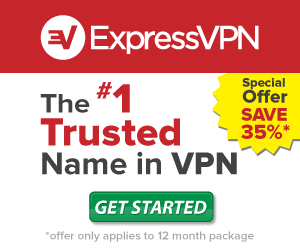 In addition, the service allows you to bypass all kinds of network and ISP based firewalls and censorship so you can access blocked sites like Facebook, Twitter, Gmail, YouTube as well as VOIP services like Skyp, Google Voice and Vonage from China, Saudi Arabia, UAE, Qatar, Bahrain, Brazil and restricted corporate networks. Since the service is based in China, it promises to help you to bypass the Great Firewall of China without leaving any kind of footprint. GFWVPN does not throttle speed or limit the bandwidth available to its users. The speed and bandwidth available is well suited for resource consuming activities like downloading, VOIP, online gaming as well as streaming of HD movies and TV shows. The company does not allow uploading or downloading of pirated content through its network so you cannot use the service for sharing copyrighted content. GFWVPN delivers a minimum of 128 bit encryption through PPTP, L2TP/IPSec, Cisco IPSec and OpenVPN protocols. The excellent support for several different protocols ensures that you can choose between privacy, speed and compatibility (OpenVPN for higher security; PPTP for compatibility). The service protects all kinds of online activities, including but not limited to emailing, browsing, messaging, FTP and VOIP and even offers protection for unprotected Wi-Fi sessions at airports, malls, parks, libraries and book shops. The company respects the privacy of customers and it will not hand over customer data to third parties or advertisers. GFWVPN works with Windows (7, Vista, XP), Apple devices (iPad, iPhone, Mac, iPod Touch), Linux and Android based Smartphones and tablets. The company does not offer custom VPN software for any operating system so you will have to configure the service manually. However, the company provides excellent setup instructions for all Operating systems and devices so even people with bare minimum technical knowledge can configure and start using the service within minutes. The company allows two simultaneous connections with one VPN account so you can use the service to secure your computer and mobile device at the same time. GFWVPN provides customer support through an email based support system. The lack of live chat and telephonic support is indeed a downside but the support staff attempts to respond to most queries within a reasonable time. The company has published basic VPN troubleshooting information on its official site so it is possible to resolve common VPN errors without the need to contact the support staff. 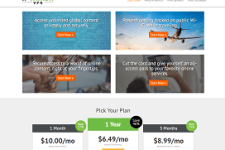 GFWVPN’s unlimited plans are available for $7 for month ($35 for 6 months and $63 for 12 months). The company provides a free trial account with 6 hours validity and a 1 cent trial account with 36 hours validity to help those who want to try the service before making a purchase. The company even has a 7 day money back policy so it is possible to get your money back even if you have subscribed to a term plan but are not happy with the service for some reason. GFWVPN offers support for a wide variety of VPN protocols at affordable rates. However, the service does not provide any choice as far server locations are concerned plus the company’s official site doesn’t look professional. We recommend checking out their free trial if other services are not working for you (especially from China). For more information, please visit: www.GFWVPN.com. 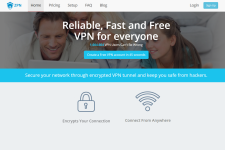 Kryptnet VPN Review – In 08/2013 Kryptnet Closed Its Doors!!! 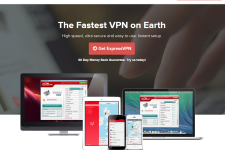 Hide My IP VPN Review – Should You Subscribe To The Service?